The longer I’ve been a consumer, the more I’ve come to realize the importance of supporting smaller, locally based brands. 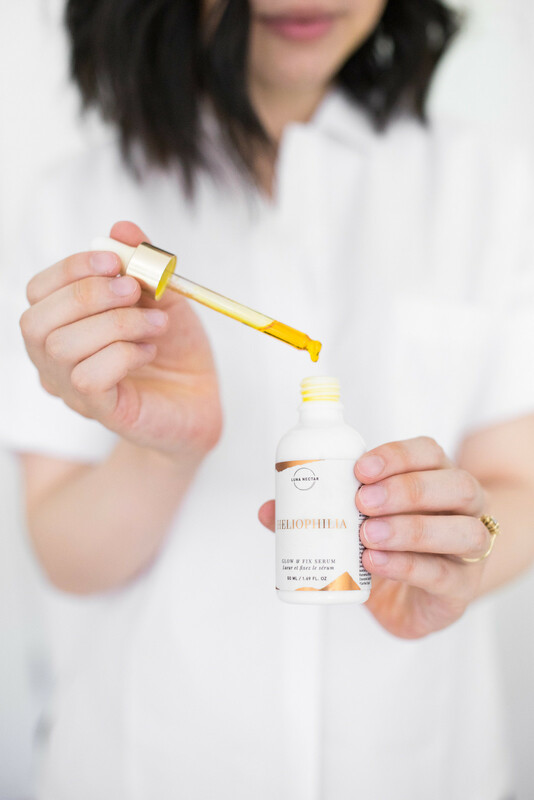 In addition to the fact that there’s typically a great story and a passionate, hardworking, most often female founder behind these companies, I also love that smaller brands tend to put a lot of heart and soul into doing fewer products really, really well. 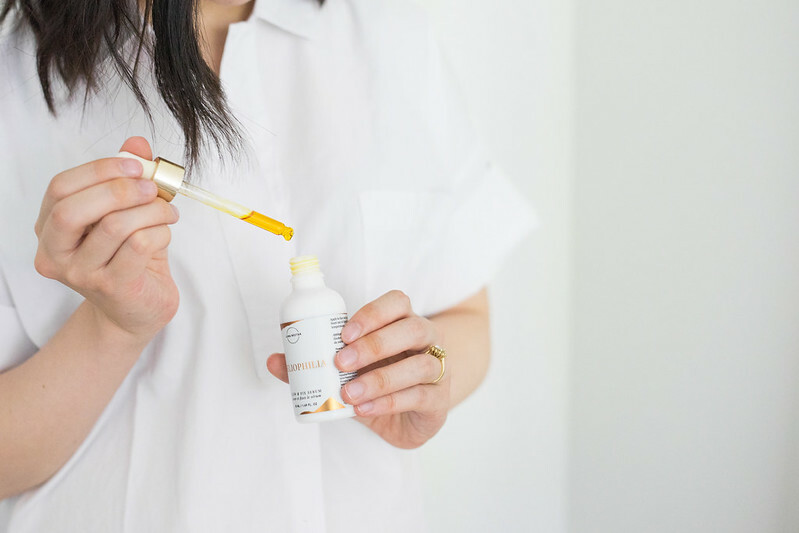 I first discovered Vancouver-based Luna Nectar maybe a year ago, shortly after I started regularly using lash serums. 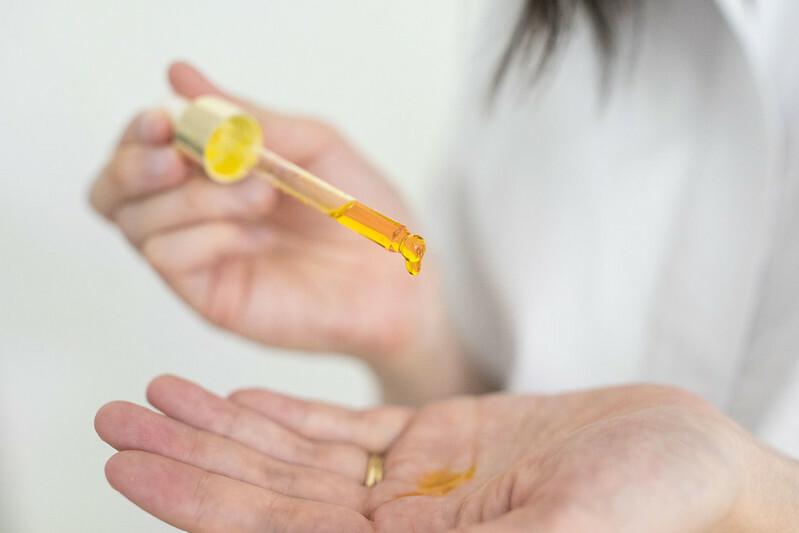 While the one I used at the time did make my lashes grow, I had no idea what kinds of ingredients were in it and one of the side effects is that it made my eyelids splotchy and red (more than a little alarming considering they’re my eyes!). Their Moon Boost was advertised as a 100% natural, vegan, cruelty free brow and lash serum that actually worked, so it obviously piqued my interest. I purchased a tube and pretty quickly the redness disappeared, but not the length and thickness of my lashes. I’ve since re-stocked three times and continue to use it on the regular. Fast forward to a year later, and Luna Nectar has recently launched a second product to their line up. 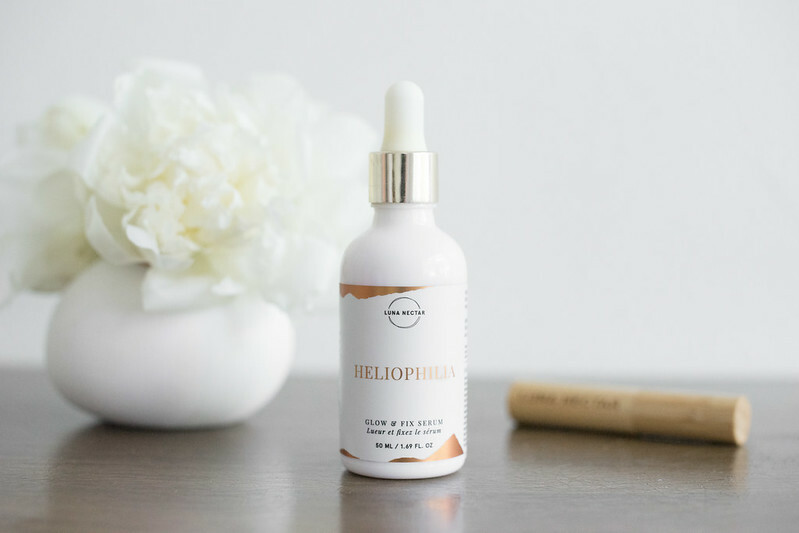 Heliophilia is a multi-use skin and hair serum, and after trying it out for a few weeks I’m happy to report that I love it just as much. My skin has always been on the drier side during the winter, but this year it’s extended well into the spring and summer. I’m not sure if it’s the pregnancy hormones or just a byproduct of age, but I’ve been noticing little dry patches on my cheeks that get worse if I don’t hydrate well or treat my skin properly. 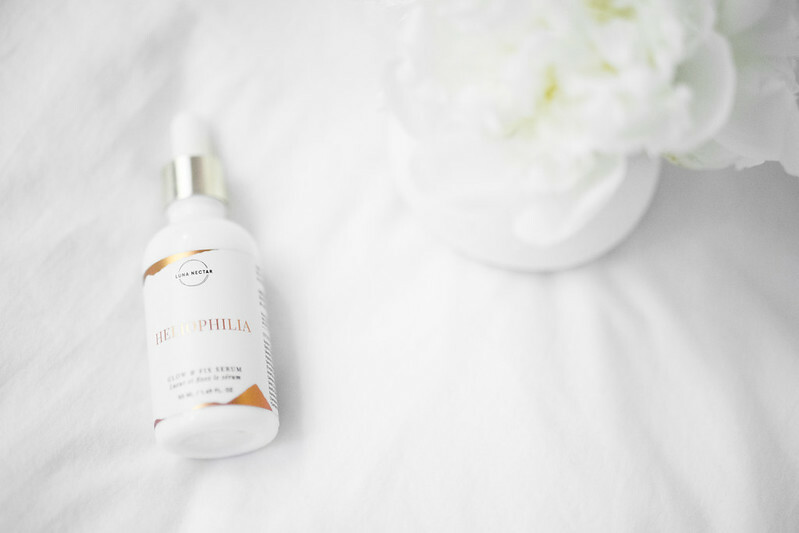 Heliophilia is a rich oil that smells amazing and feels so luxurious, and I love that when I’m feeling tired I can just use it as a one-step solution during my evening skincare routine. Even when using this alone, I wake up in the morning and the dry patches will have essentially disappeared! At $46 for a 30ml bottle, it’s not inexpensive but it’s definitely a fair price considering all of the good stuff it’s packed with (full ingredient list here). • Hair moisturizer/repair/frizz tamer – for all hair types – straight, wavy, curly. 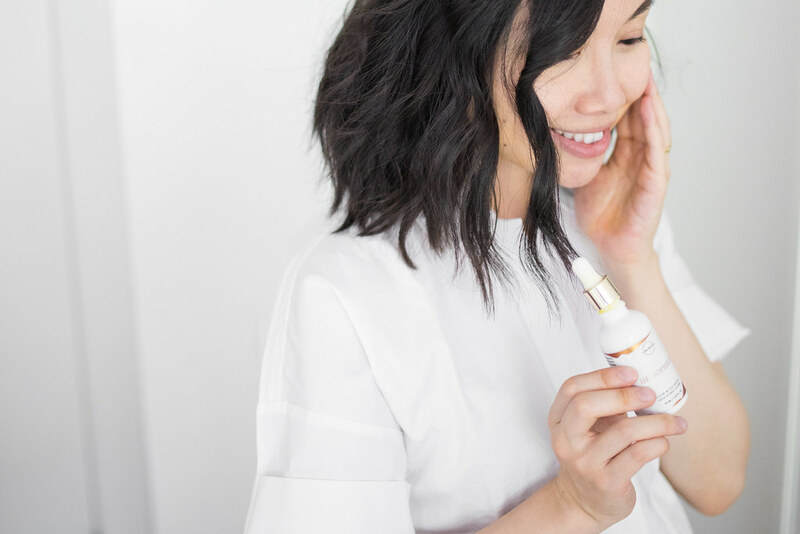 This one is definitely staying on regular rotation in my skincare cabinet! 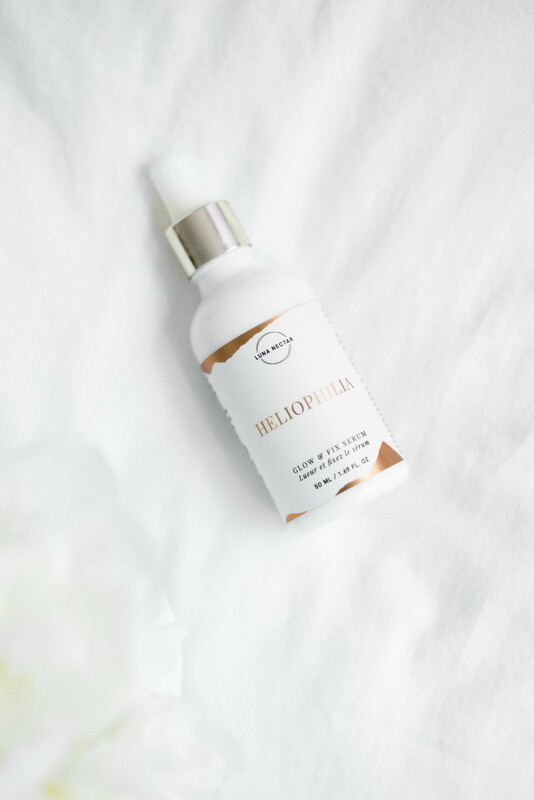 Heliophilia and Moon Boost are available online, and at various retail locations in North America and Singapore. 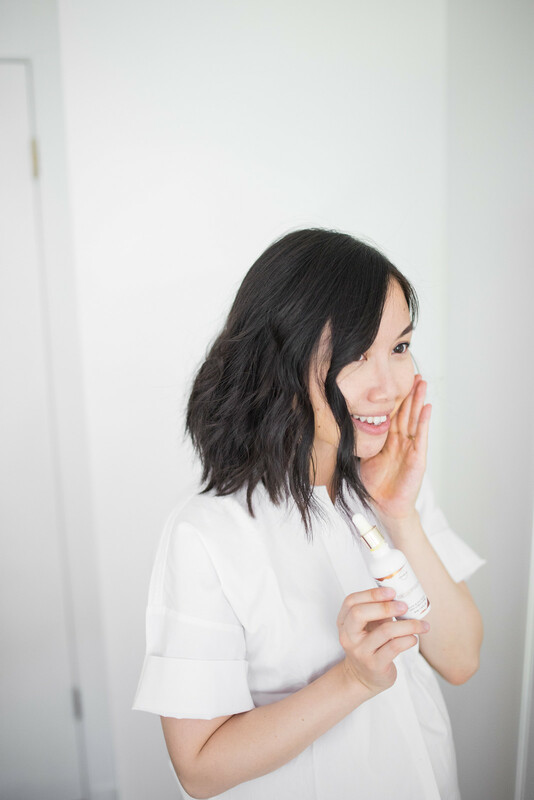 I’ll also be doing a more comprehensive post soon on the clean skincare/beauty routine that I’ve adopted since getting pregnant, so stay tuned for that!